Unique one off piece of wall art. 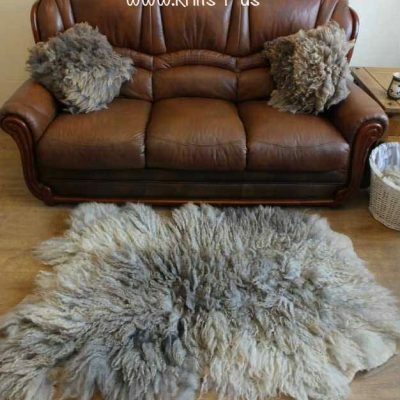 I purchase fleece from rare breeds sheep, most will be pet sheep. I wet felt on the bottom of the fleece to make a firm base, I love letting the fleece dictate the shape the art piece will come out. Some of the art work are far from conformist! 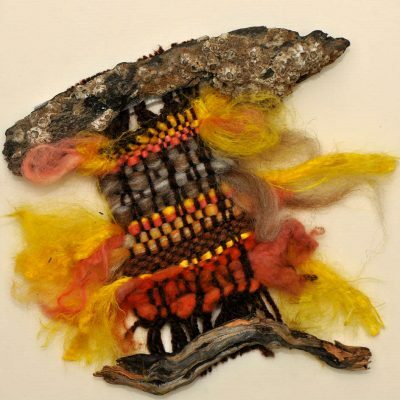 The art pieces are made with shorn fleece, this means the sheep is still alive and growing next years fleece. 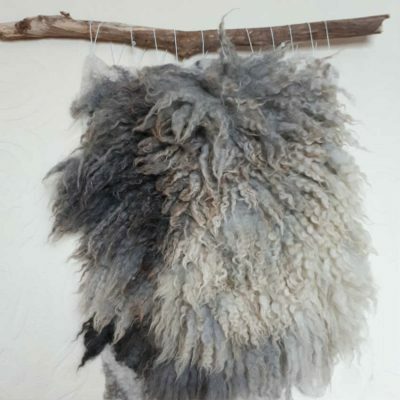 This art piece is made from 3 different breed of fleece, it demonstrates the wide difference in staple length and softness in different types of fleece. The staple length ranges from 3/4″ to 8″ long. Fleece is so tactile you just want to sink your fingers into the piece when you walk passed. This original piece of wall art is made from 3 different fleece. By using fleece with different staple lengths the wall art demonstrates the differences in sheep breeds. I use Jacob sheep fleece to wet felt onto the back of shorn fleece. It is a time-consuming art, but it means the rug is vegan/vegetarian as the sheep is still alive and growing next years fleece. Of all the wall art pieces I have made, this is one of my favourites as it has such a variety of fleece and staple lengths. All the wall art pieces will always be unique, as even next years fleece from the same sheep will have changed colour and staple length. It is such a fantastic way to bring the countryside into your home while knowing the sheep is out on the field growing next years fleece. Who would not want to have this piece of fleece wall art hung where you can touch it and feel its softness and warmth whenever you walk passed?